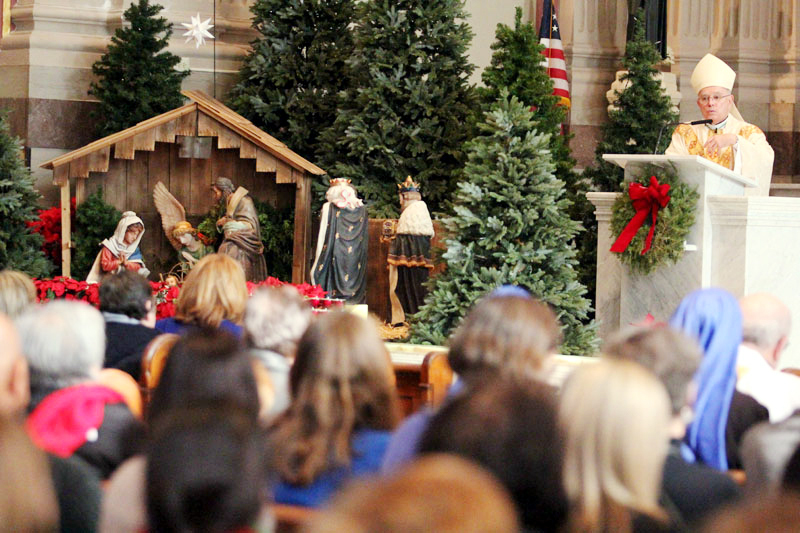 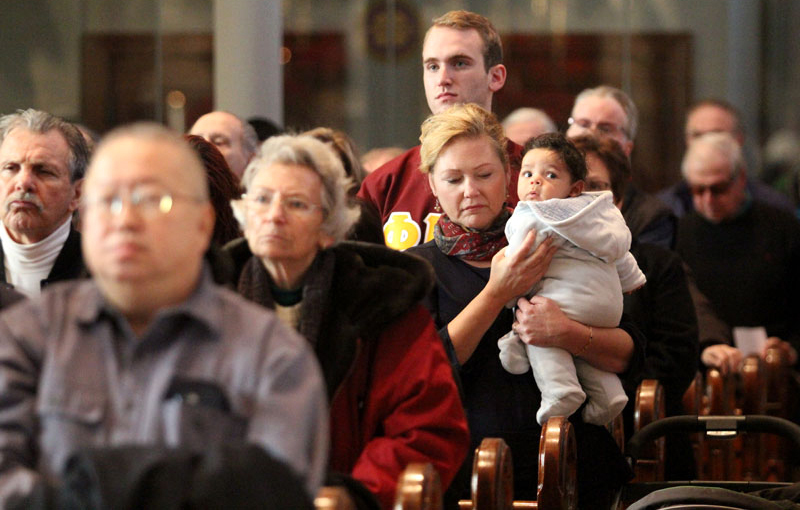 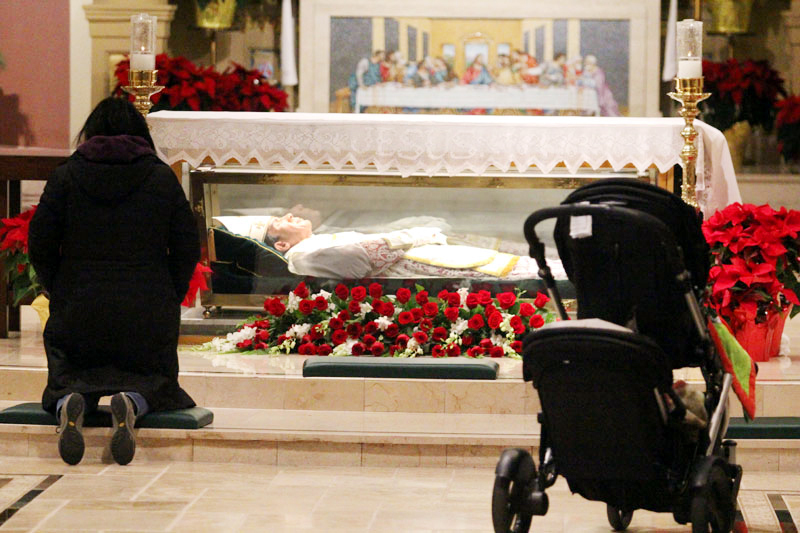 Diane DeRita and her grandson Nico traveled from St. Anastasia Parish in Newtown Square to attend Mass at St. Peter’s. 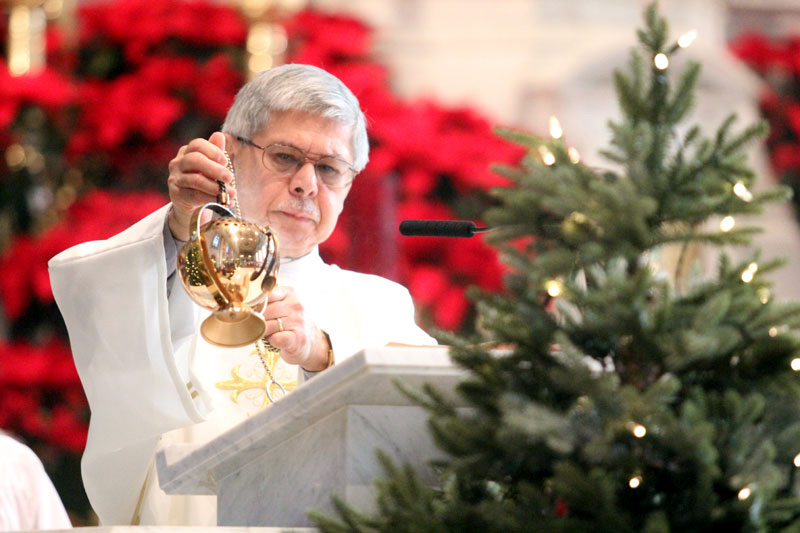 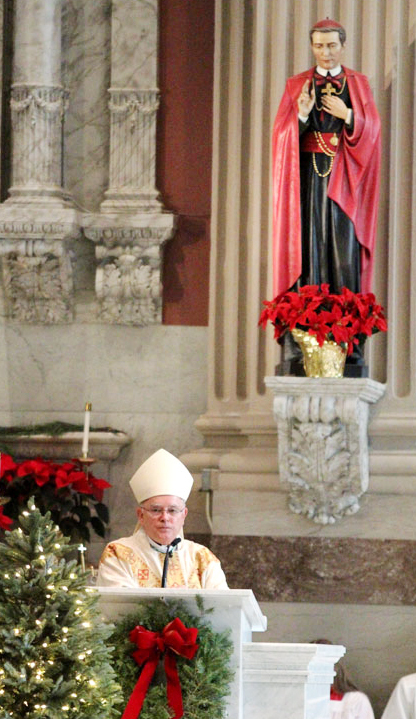 Archbishop Charles Chaput and Father Richard Bennett, C.Ss.R., pastor of St. Peter Parish, celebrate Mass on the feast of St. John Neumann Jan. 5 at St. Peter’s. 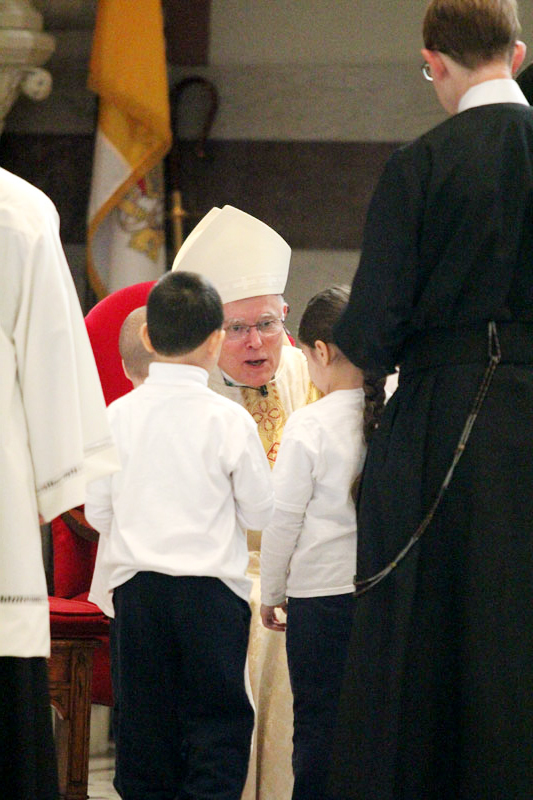 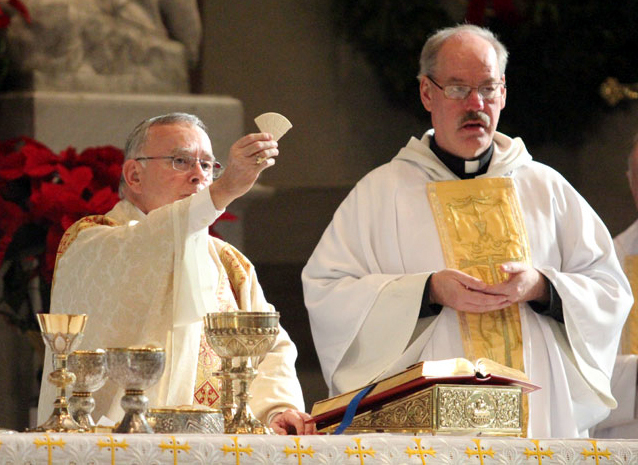 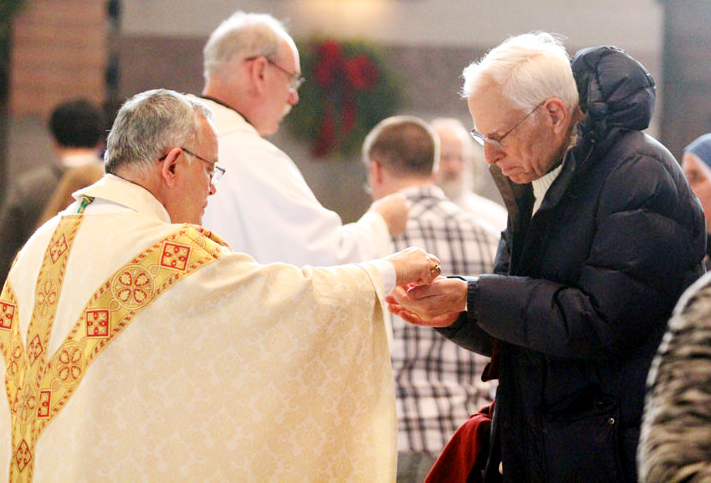 Archbishop Charles Chaput distributes communion to Charles Hergenroeder from St. Mary Parish in Annapolis, Md. 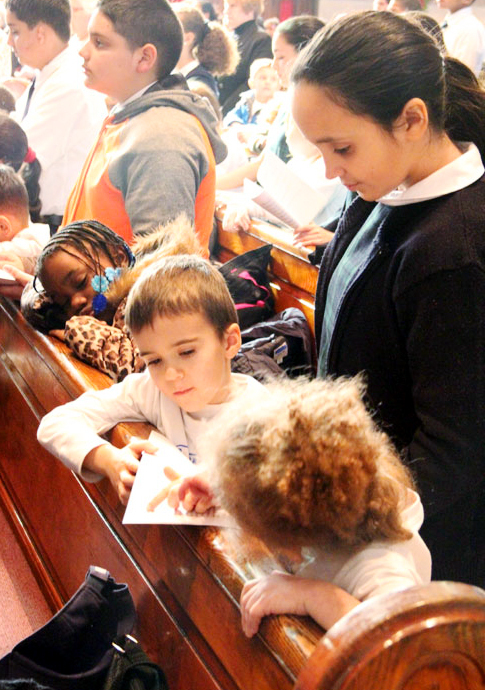 Sixth grader Alina Pavia helps kindergartners Nolan Pustina and Victoria Green follow along in the Mass booklet. 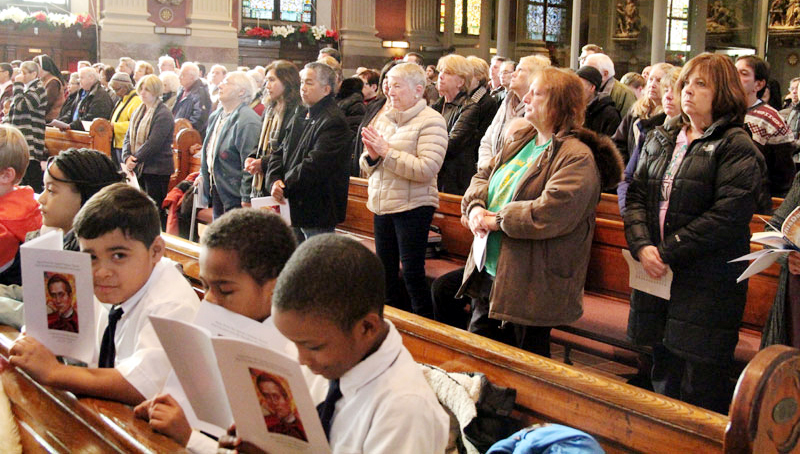 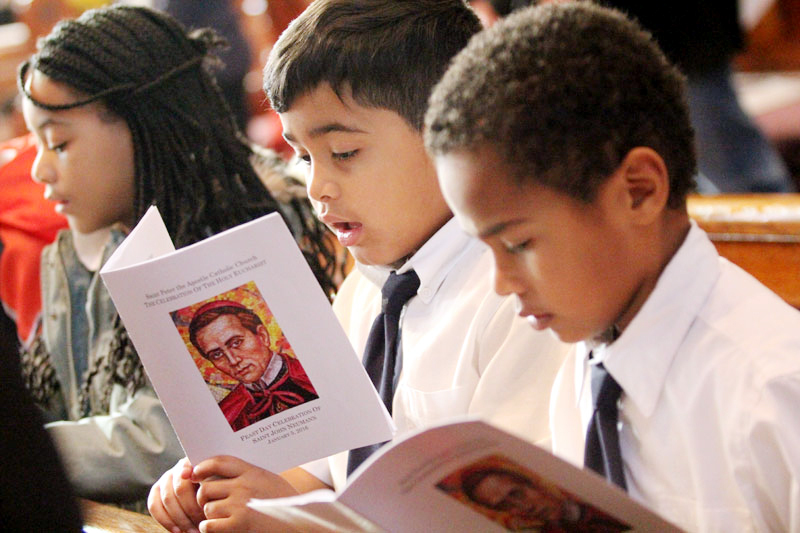 Hassan Jackson (center) and Otis Shenk (right), second grade students at St. Peter the Apostle School, sing during Mass at St. John Neumann’s feast day Mass on Tuesday, Jan. 5. 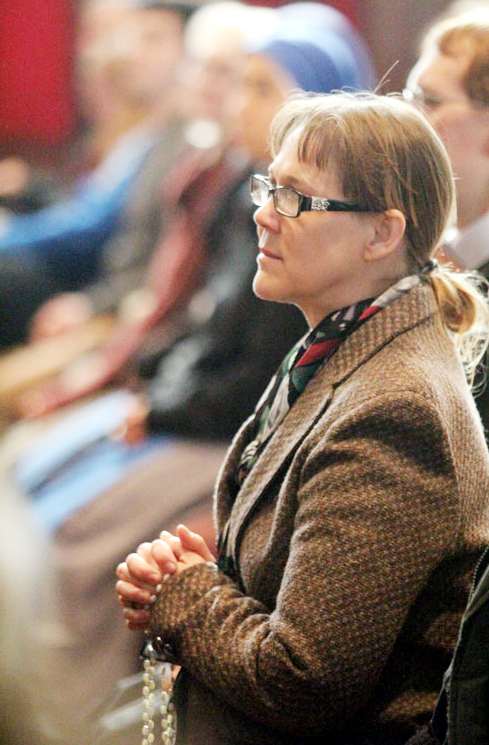 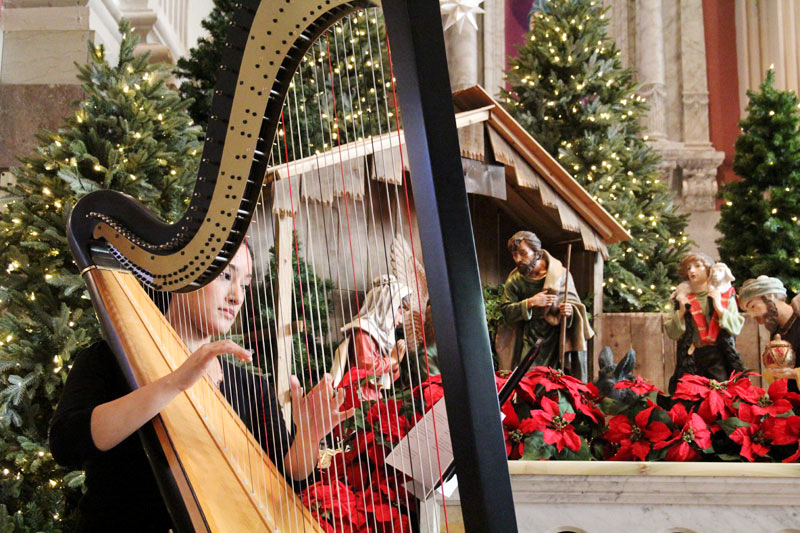 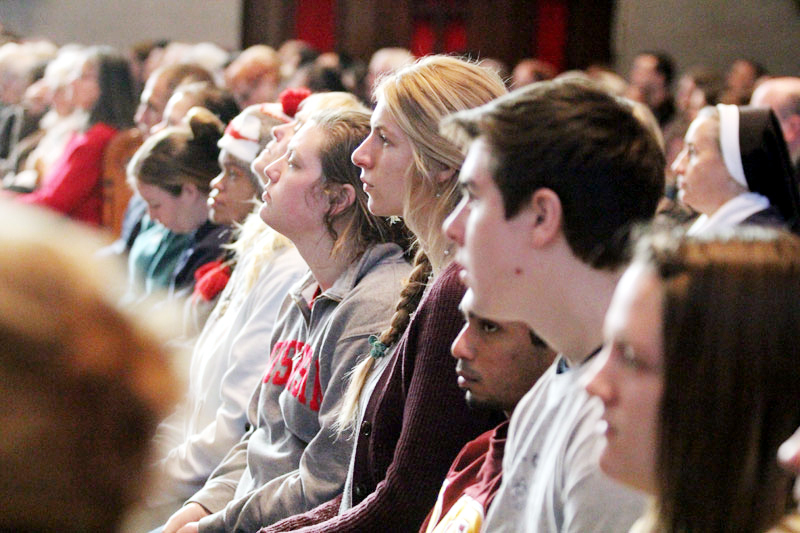 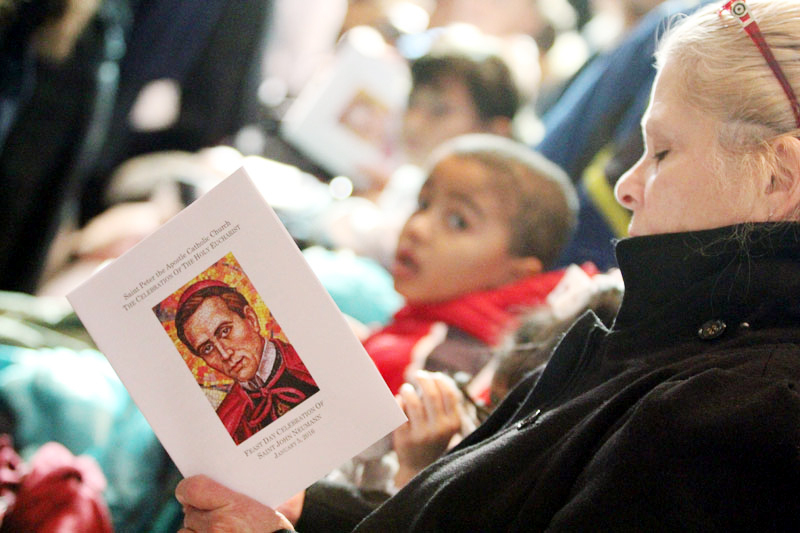 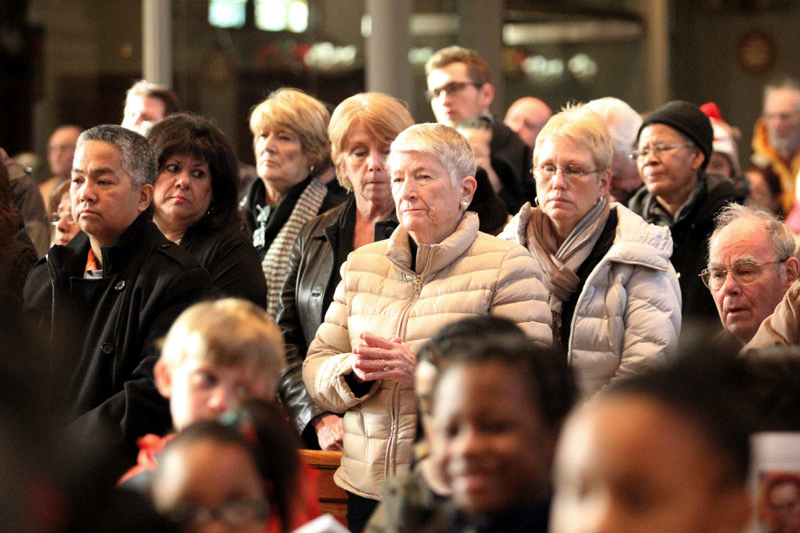 Maggin Shell, center, who regularly attends Mass at the Shrine of St. John Neumann, was one of many who filled the church on St. John’s feast day. 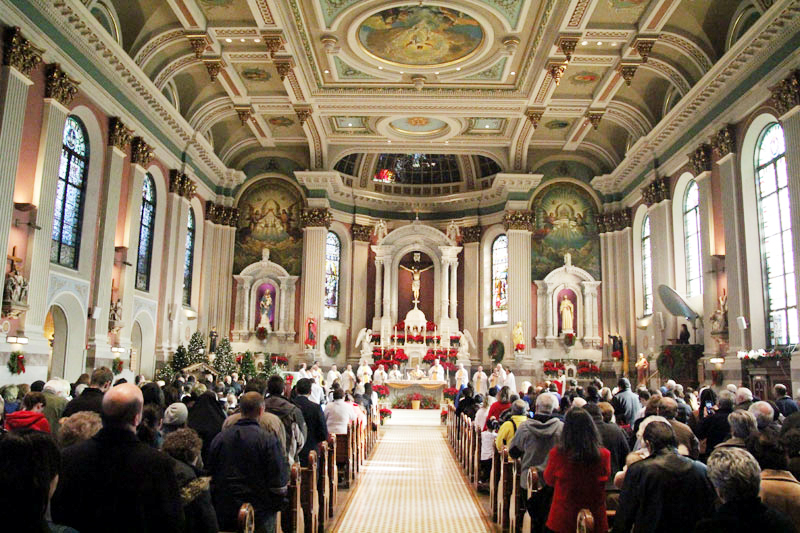 1946 I left my home town to study nursing at St. Lukes and Childrens Hospital At 8th and Thompson Sts coming from a staunchly Catholic Family I attended Mass At St Peters Church for the three years I attended the program. 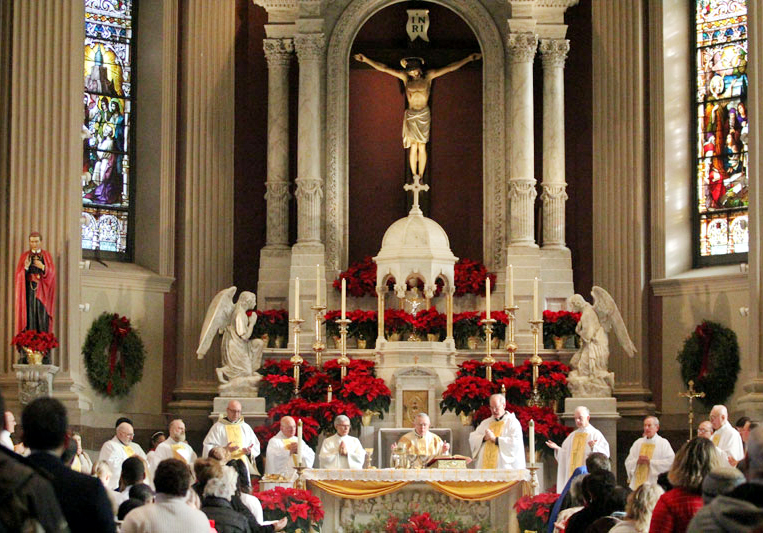 It brought back so many wonderful memories to see this beautiful church again. 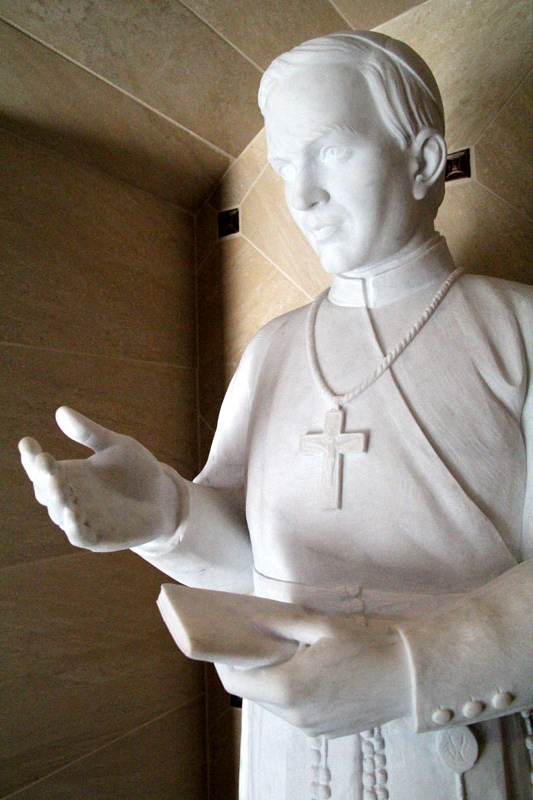 I did visit it once about twenty or so years ago with my sons Mario and Christopher.thank you for the memories of Blessed John Neuman.